Sometimes a single unit with the right training can accomplish what an entire brigade cannot. As demonstrated on Endor, when a small Rebel strike team managed to bring down the shield generator protecting the second Death Star, these specialized troops can be invaluable to any army. Order your own copy of the Rebel Commandos Unit Expansion at your local retailer or online through our website today! This is especially true of the Rebel Alliance, who lack the numbers to face down legions of Imperial troops in open battle. For them, a team of operatives working on the fringes of a battle can assist more traditional troops by making use of unorthodox tactics to disrupt Imperial operations. 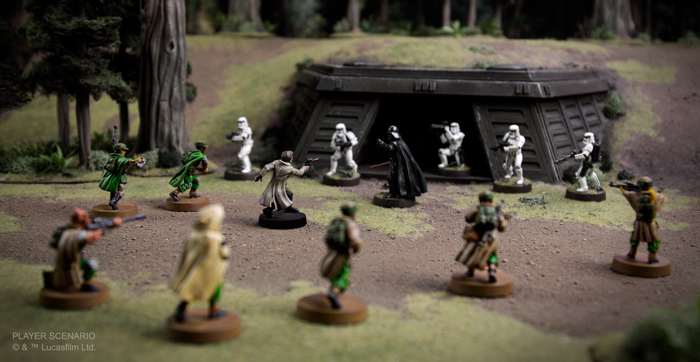 You’ll soon be able to add these squads of Rebel snipers and saboteurs to your Star Wars™: Legion armies with the Rebel Commandos Unit Expansion. 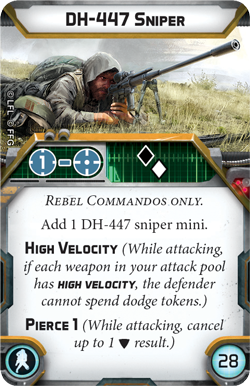 Whether you choose to deploy your operatives as a full unit or break them into smaller teams, the seven unpainted, easily assembled Rebel Commando miniatures in this expansion can be enhanced with five upgrade cards that further enhance their unconventional approach to the battle. 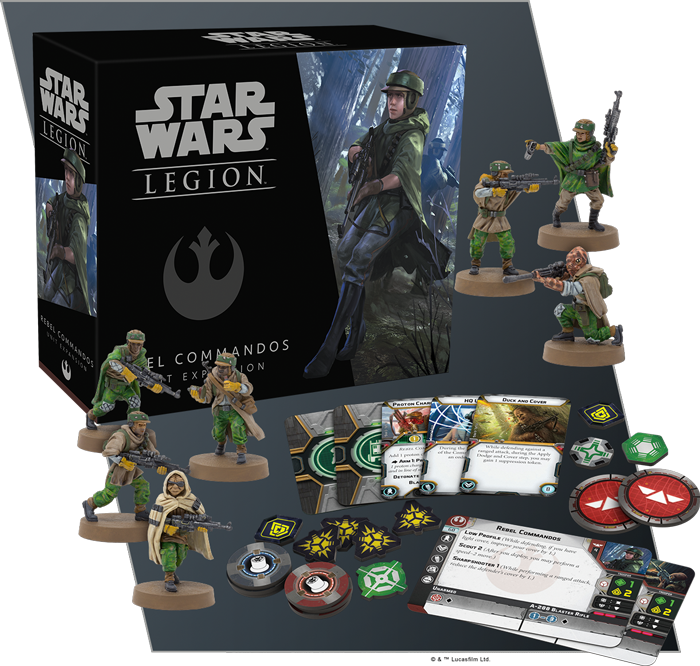 Releasing alongside the Han Solo Commander Expansion in the third quarter of 2018, the Rebel Commandos Unit Expansion is poised to shake your Rebel armies to their core. Read on for a closer look at what you’ll find inside this expansion! Battle-hardened veterans of the Galactic Civil War, Rebel Commandos are the best soldiers that the Alliance has to offer. Skilled in a variety of advanced combat tactics, including infiltration, sabotage, and sharpshooting, these elite troops are notorious among Imperial units and nearly legendary to their fellow Rebels. The Rebel Commandos' reputation is so great, in fact, that their mere presence on the battlefield completely changes the dynamics of a battle. As Star Wars: Legion’s first special forces unit, the Rebel Commandos truly differentiate themselves from other troops with their specialized training that grants them abilities not seen in other troops. For example, Rebel Commandos thrive on covertly inserting themselves into critical areas of the battlefield. This makes them naturally proficient at maintaining a low profile, helping them improve their cover while they infiltrate Imperial operations. Similarly, Rebel Commandos can’t fight an entire war for you, but they can provide your army with crucial advantages. This starts at the very beginning of the game, when they can use their Scout 2 ability to perform a speed-two move immediately after being deployed. This quick movement gives your commandos the chance to get the drop on enemy troops or immediately set up their own sniper nest in a perfect position to make use of their Sharpshooter ability. Such abilities ultimately give the Rebel Commandos the freedom to behave differently than other trooper units. They could use their A-280 Blaster Rifles to directly attack enemy troops, but Rebel Commandos are better equipped to agitate enemy forces from afar. 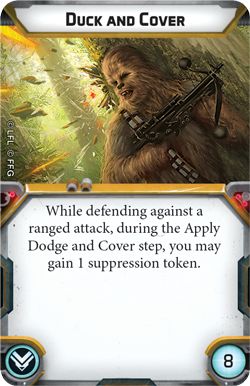 Fittingly then, neither of the Rebel Commandos' two heavy weapons options seek to inflict massive casualties, but instead force the opposing player to rethink their strategies. For example, normally an enemy unit must be within range of your weapons before you can open fire upon them. If a DH-447 Sniper is on the field, however, range is no longer an issue. This miniature can target anything at Range 1 and beyond, effectively bringing the entire battlefield into play. Considering dodge tokens cannot be spent to avoid the DH-447’s high velocity rounds and that these rounds pierce through a unit’s defenses, the presence of single sniper on the field is enough to send enemy troops running for cover instead of toward their objectives. 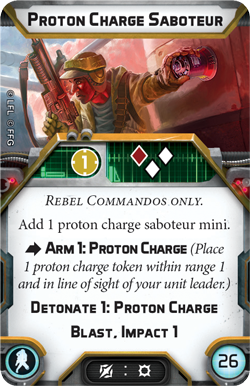 Similarly, adding a Proton Charge Saboteur can also frustrate enemy attempts at engaging your forces or completing their mission. These specialists can litter the field with deadly proton charges that can be detonated after any unit performs an action, damaging anything at Range 1 and in line of sight. When deployed strategically, these charges can impede opposing forces’ progress towards objectives or even keep them from flanking your troops. The Proton Charge Saboteur plants a proton charge that can be detonated if the Stormtroopers attempt to claim the objective token! Beyond their proficiency with some of the deadliest weapons available to infantry units, the Rebel Commandos are also a flexible unit that can be inserted into the field in two distinct configurations. On the one hand, you can field a full unit of Rebel Commandos containing four standard miniatures with the option to add a heavy weapon miniature. On the other, you can build a two-miniature strike team focusing on one of the two heavy weapons miniatures. While choosing a two-miniature strike team is by far the cheaper way of getting these valuable heavy weapons onto the field, these teams can also be quickly eliminated by a concentrated enemy attack. 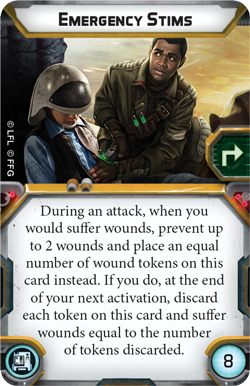 Fortunately, a number of upgrades can be used to keep your Rebel Commandos in the fight a little longer. 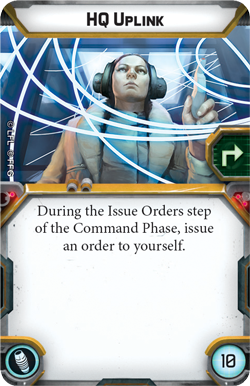 Seeing as they’ll most likely be roaming far afield, it’s always useful for them to have a direct line to your commander, and an HQ Uplink is ideal for issuing them a timely order. No matter how well concealed they are, however, the Rebel Commandos will inevitably draw the attention—and fire—of opposing forces. 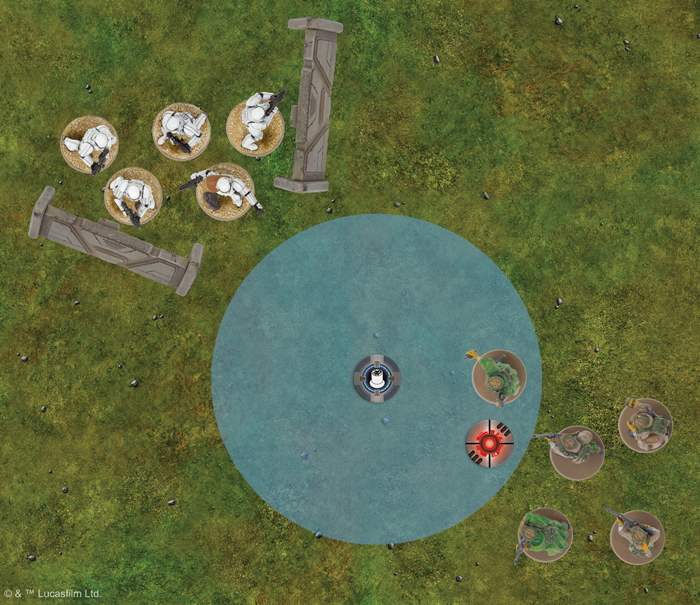 When your sniper team comes under fire, they can always Duck and Cover to gain a suppression token and further increase their cover. Finally, Rebel Commandos know that the fate of the Rebellion hinges on their actions, and they're willing to make the ultimate sacrifice for the cause. If they use Emergency Stims, they can stay around just a bit longer, hopefully long enough to make a clutch shot or to detonate just one more proton charge. Some missions are best suited for a small team of crack soldiers. Gather your team and bring the fight to the heart of the Empire! 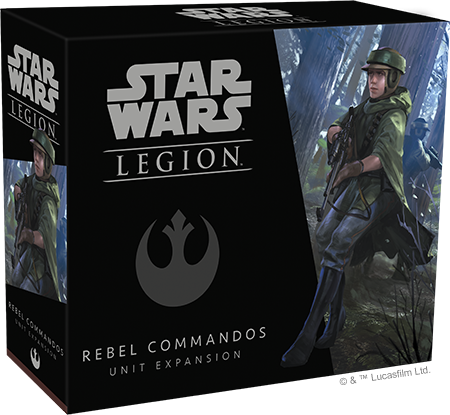 Look for the Rebel Commandos Unit Expansion (SWL21) to release alongside the Han Solo Commander Expansion (SWL20) in the third quarter of 2018! You can pre-order your copy at your local retailer or online through our webstore today.